A bath collection for the body, scented with the Jasmin Noir fragrance. A tribute to ultimate femininity. Seduction and personal indulgence. 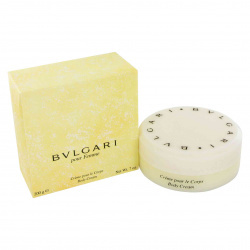 Body Lotion Fragrance: The new emblematic creation within the Bvlgari Pour Femme Collection Jasmin Noir, perfectly embodies the luxury and prestige of Bvlgari fine jewelry. Jasmin Noir is a flower of the imagination. Precious jasmine, white and immaculate, in its noire interpretation. A flower of pure mystery. A rich and delicate flower that at nightfall, reveals its intriguing sensuality. A precious floral woody fragrance with ambery accents centered around one of the true jewels of perfumery: the jasmin flower. 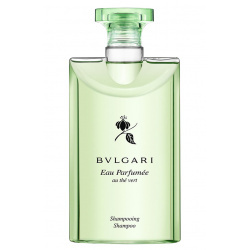 A scent that conjures forth the bewildering seductiveness of feminity as elegant as it is profoundly sensual. Jasmin Noir tells a voluptuous floral story that begins with the pure radiance of luminous light given by green and scintillating notes: Vegetal Sap and fresh Gardenia Petals. Then, tender and seductive, the Sambac Jasmine Absolute, delivers its generous and bewitching notes. Unexpectedly allied with a transparent silky almond accord, it reveals a heart that is light yet thoroughly exhilarating and marvelously addictive. The scent's sumptuously rich notes repose on a bed of Precious Wood and ambery undertones, bringing together the depth and mystery of Patchouli, the warmth of Tonka Bean and the comfort of silky Musks for an elegant and intimate sensuality. An exquisite fragrance of incomparable prestige, Jasmin Noir captures the very essence of the jeweler. A carnal impression of the immaculate jasmine flower, Bvlgari Jasmin Noir L'Essence dresses the purity of the bloom in jet black mystery. The fragrance is a more concentrated Eau de Parfum than the original Jasmin Noir, a blend of rare and precious ingredients that are more seductive, and more addictive than ever before. 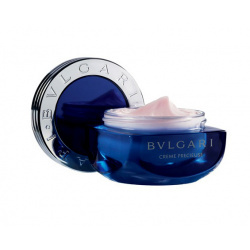 The profoundly sensual elixir captivates the senses, and enchants its wearer with its generous and bewitching touches. 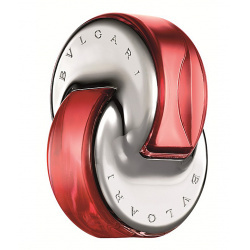 A luminous bottle that honours the heritage of Bvlgari. 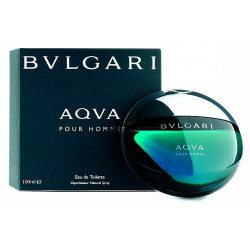 Bvlgari Aqua (Pour Homme) Eau De Toilette Spray is an enticing and fresh cologne that exudes masculinity from its unique blend of amber santolina, posidonia and mandarin. 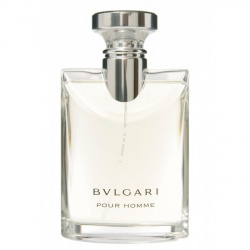 Bvlgari Aqua (Pour Homme) Eau De Toilette Spray scent lasts throughout the day without having an overpowering smell. It is subtle enough for daytime use and masculine enough for night wear. Omnia Coral: Inspired by the shimmering hues of precious red coral, Omnia Coral is a radiant floral-fruity Eau de Toilette of tropical Hibiscus and juicy Pomegranate, reminiscent of Summer, the sun, resplendent nature and far-off oceans. Omnia Amethyst: Inspired by the shimmering hues of the amethyst gemstone, this floral Eau de Toilette captures the myriad scents of Iris and Rose gardens caressed with morning dew. Omnia Crystalline: Created from the glowing clarity and purity of crystal, Omnia Crystalline is a sparkling jewel of light, illuminating and reflecting the gentle sensuality and luminous femininity. Sparkling like a precious jewel, like the rarest of crystals, in an exquisite jewel flacon.